On mobile, we like to collect data. But we also like our apps to feel native, which creates a bit of a problem on iOS. 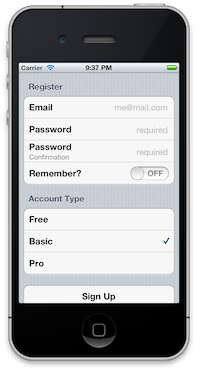 See, the default Phone and Settings apps use grouped-style UITableViews to retreive and present data. Coding these, especially with many different row variations, is a pain.